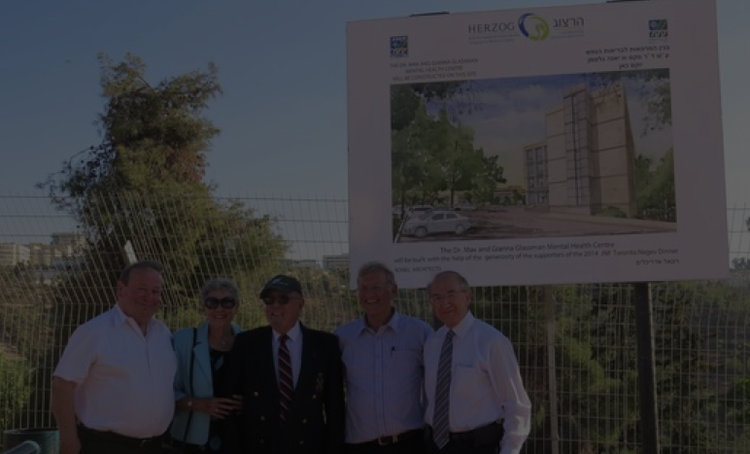 We are pleased to inform you that JNF Toronto and Herzog Hospital have joined forces in a special collaborative capital project to construct the Dr. Max and Gianna Glassman PTSD and Health Centre. This new Centre to be constructed on the Herzog campus will combine the hospital’s Community Mental Health Clinic, its Israel Center for the Treatment of Psychotrauma, and its Children’s Psychological ADHD Clinic. Currently, all of these facilities are located in separate facilities spread across Jerusalem.